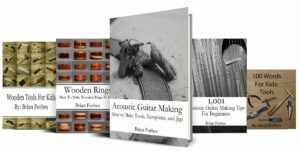 This week is about taking the next step on the acoustic guitar building series, choosing the best epoxy resin, and designing men’s rings. It’s been a great week full of woodworking, guitar making, and ring making fun. Enjoy the review. 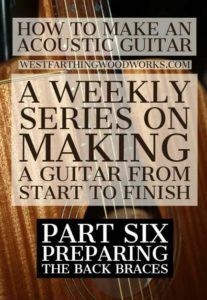 In How to Make an Acoustic Guitar Part Six – Bracing the Back, I show you everything you need to know to brace an acoustic guitar back. This post goes right back to where we left off last week on the Mahogany guitar. At this point, the back plate is joined and ready for the bracing and the center seam overlay. While this is a pretty straight forward part of any guitar build, there are some tips that I share to make the process easier. Also, knowing how to install a good center seam overlay makes a big difference. 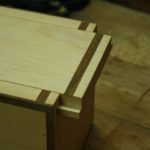 The trick for finding the right wood is also helpful, and if you follow along you will also find a free method of getting a great piece of center seam wood. You probably already have some of these in your shop right now. It’s sometimes overwhelming to stand in the adhesive aisle and stare at all of the specialty products that are meant for one type of gluing or another. It’s odd to think that you really need all of those choices, and you really don’t. 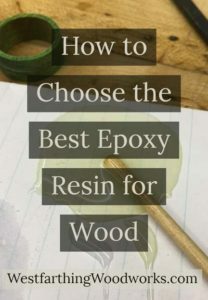 This post called How to Choose the Best Epoxy Resin for Wood will show you everything you need to know about choosing epoxy resin for a wooden project. There are a lot of things that you can think about as a beginner, but thankfully you only need to look out for a few of them. 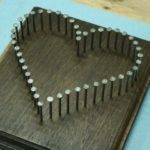 Epoxy is one of the most versatile adhesives, and you can glue nearly anything to nearly anything else. 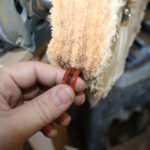 With these tips, you will be able to confidently pick out the right epoxy for your wood project and have great results. 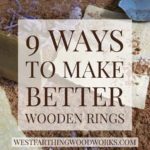 Making wooden rings is a fun project, and designing a line that appeals to a certain group is also a fun challenge. These design ideas for Men’s rings in particular come from my own personal sales, and from designs that I see in the marketplace. 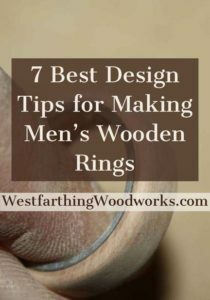 In 7 Best Design Tips for Making Men’s Wooden Rings I’ll show you how to take a group of characteristics that generally appeal to men and create a set of wooden rings that will look very good as a group. The design ideas range from the size to the shape, and even cover the wood choice and layout. You can create a set of masculine rings that have their own nice appeal, and in this way market your rings to that group. Afterwards, you can use the same techniques to brainstorm and create ring collections and designs that are targeted towards other groups and broaden your collections even farther. 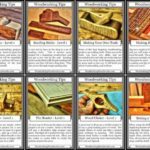 If you have any questions about the Westfarthing Woodworks Post Review for 2/3/2019 please leave a comment and I will be glad to answer them. Happy building.